Red Tiger Gaming have developed this exciting game to make yourself as rich as a lord, or at least feel like it with this Easy Slots game which suits all level players. 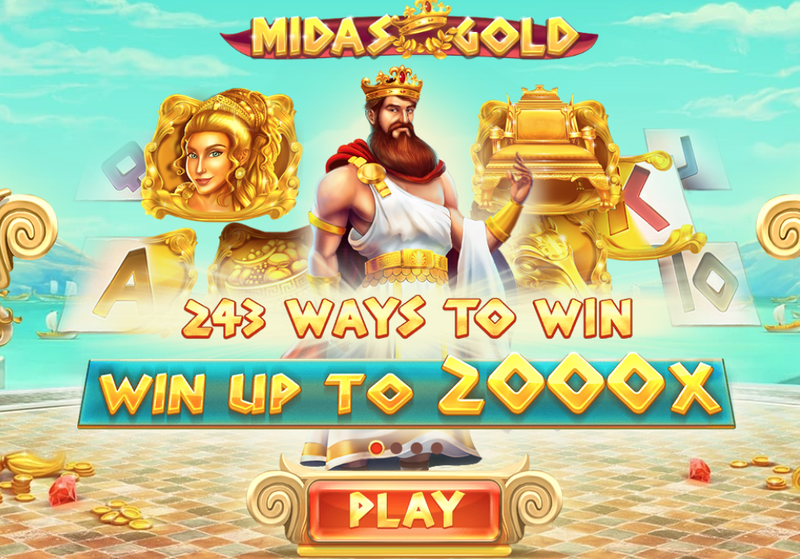 The online slot game follows the popular Midas theme – iconic in Greek mythology. Midas is such a powerful God in the world of online gaming because everything Midas touches turns to gold. 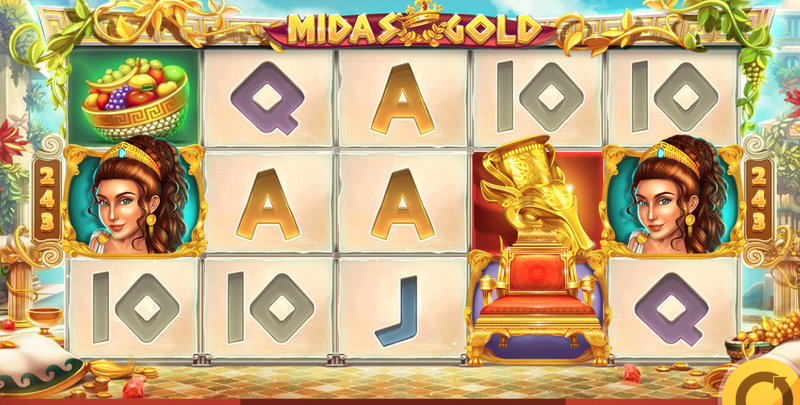 As a result, there is no surprise that Midas is so popular in casinos and online gaming. Of course, Midas learned to regret this many time over. Red Tiger gaming have provided online-slot machines to the market since 2014 and provide high quality gaming to players in both Europe and Asia. They are well known for their iconic branding which encompasses the strong head of a red tiger! Look out for their games across a range of online gaming platforms and casinos. What makes their content so appealing is the fact that they specialise in developing high quality slot games to play online – aiming to create iconic and creative themes for their players. The symbols in this online slot game follow the mythology. For example, the symbol that has the highest return is King Midas daughter Zoe. Zoe has the power to 4 symbols into 2x your total bet and 8x the stake that the card was collected for. Other symbols include a majestic golden throne, a golden cup and a gilded bowl of fruit. The lowest paying symbols include generic card symbols from 10-Ace. There is an auto – play feature which makes it easy to play online and can got up to 100 spins. If you want, you can place a stake for 0.20 credits whereas the maximum is 500 credits so there is plenty of choice. There are 243 ways to win on this 5x3 slot machine. Keeping things simple, the slot doesn't have a single. A standard winning pattern is needed to gain a win on this online slot, just line in identical symbols on the adjacent reels (moving across the screen from reels 1 to 5). The ‘Midas Touch’ acts as a bonus feature in this game which, as the story goes, means that any object on the screen can be turned into gold. This bonus round is activated when King Midas lands on the reels. The game will continue giving re-spins until there are no more of the chosen symbols, after which you'll be paid out according to the winning combinations on the screen. In theory, having a full screen of the king's daughter symbols could end up paying you a jackpot of up to 2,000x your total bet. Sign up today to gain full access to all of our UK slot promo offers! Midas Gold slot is a simple but effective game that can provide much entertainment to new slot players due to its simplicity, through to experienced players with its rewarding pay outs! The online slot game holds an RTP of 96.26% which makes it inviting game to play and who knows, maybe everything will turn to gold for you! For more games by this developer, click here.